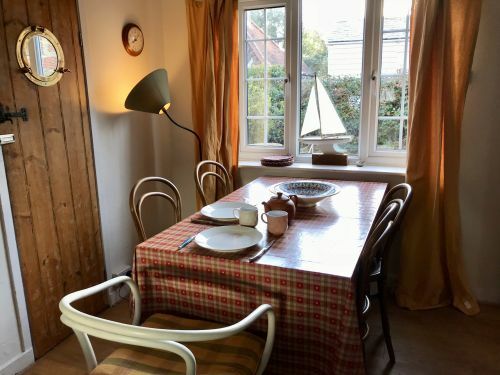 Self catering cottage in the middle of Walberswick, handy for beach and harbour. 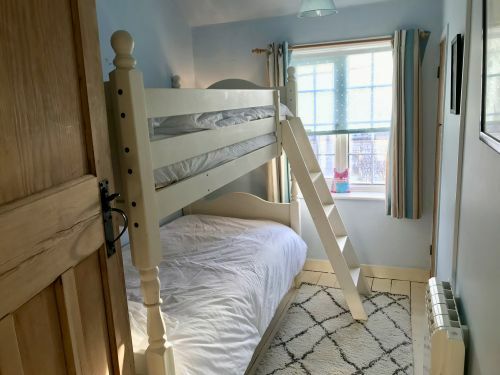 Sleeps up to 6 in 3 bedrooms plus travel cot available. Off-road parking. View pictures of Corner Cottage. Corner Cottage is a three-bedroomed family home in an ideal location for a holiday in the pretty coastal village of Walberswick. 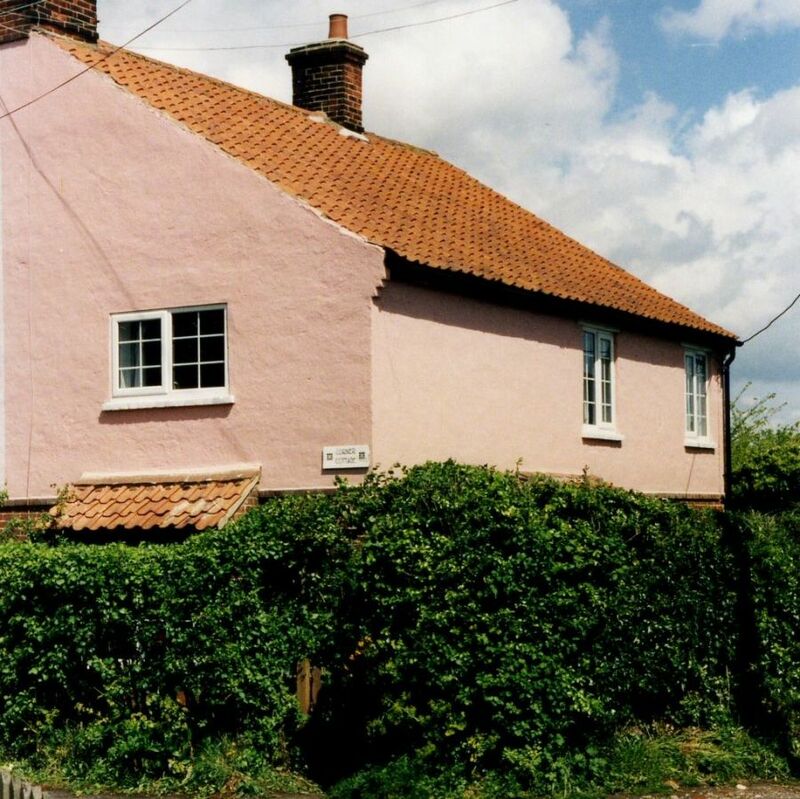 The cottage stands just yards from the Village Green where there is play equipment for children. It is only minutes to the attractions of the beach and the inlets which are so good for crabbing, to the Harbour and the foot ferry to Southwold. 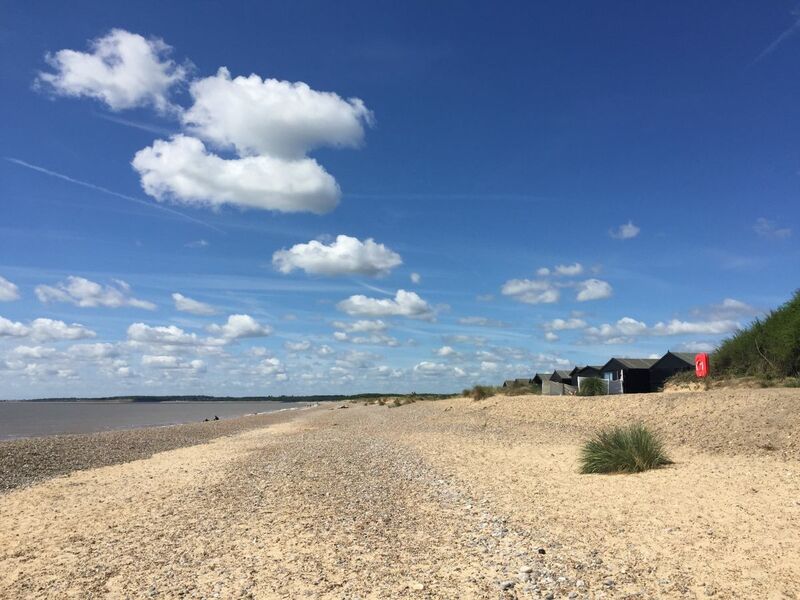 Walberswick's village shop, tea rooms, gift shops and two pubs are all within an easy stroll. From the garden gate at Corner Cottage enjoy walks around this delightful village with its views, wildlife and sea shore. Explore the Common, the ruins at St.Andrew's church and the attractive lanes and footpaths. The cottage retains many attractive features while benefitting from modern facilities such as double glazing, WiFi and own off-road parking for one car. 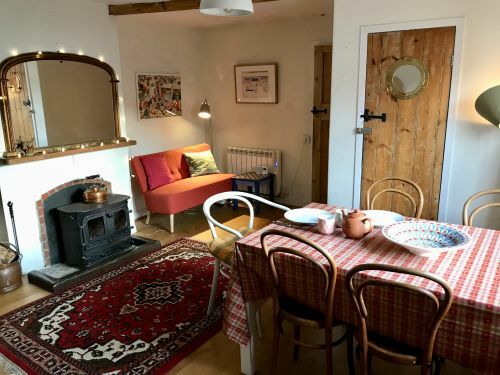 The homely interior includes paintings and artwork on the walls throughout the cottage. 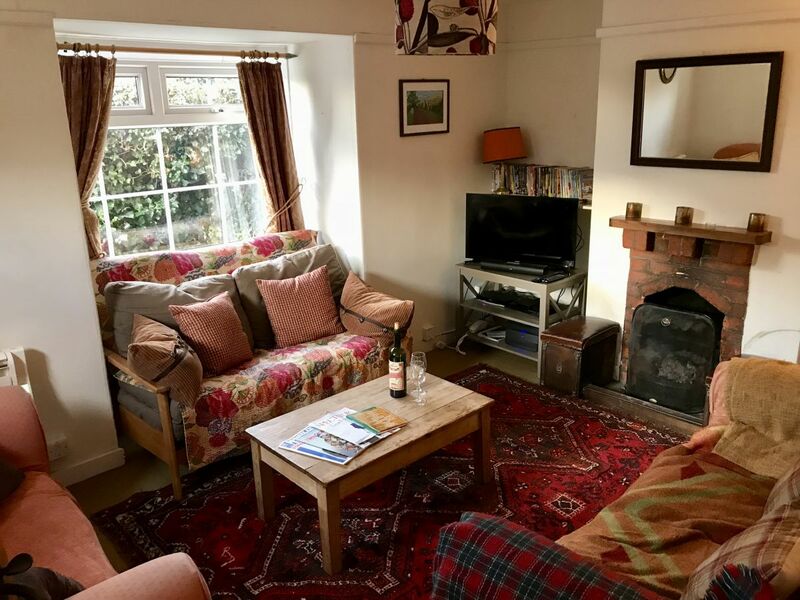 Sitting Room with large front window and feature circular window. Three sofas, one of which is a two-person futon. Stripped pine coffee table plus additional table and lamp. Working fireplace with fire guard and with bookshelves in alcoves to either side. Freeview HD TV. DVD player. Dining Room A family room with a solid fuel stove with mirror over and fireguard. Wooden floor with rugs. Dining table and seating for six plus additional seating and sofa. Highchair. Wooden dresser. Large window overlooks garden. Kitchen Floor and wall units with plenty of cutlery, crockery and kitchen essentials plus storage space. Electric oven and hob. Microwave. Washing machine. Fridge. Toaster. Door to Rear Lobby. A useful storage space housing a dryer and a freezer. Door to WC. 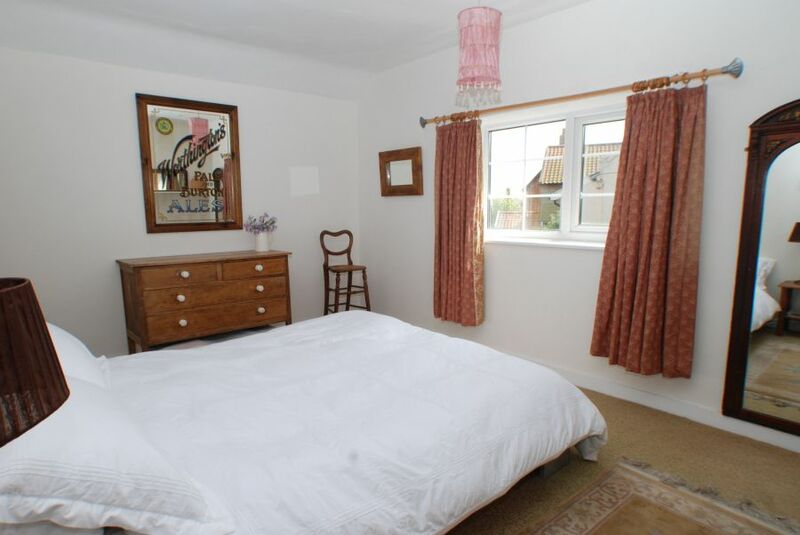 Front Double Bedroom with views to Walberswick Village Green and to the sea beyond. Painted wooden floors with rugs. Cupboard with stripped pine door. Furniture includes two bedside tables with lights. Feature wall mirrors and original fireplace (not in use). Bunk Bedroom with painted floorboards, cupboard with stripped pine door. Window faces east. Small Double Bedroom with small double bed which can be arranged as two (smaller size) singles. Painted wooden floor and cosy rug. Window faces east. Bathroom with pale blue panelling. Bath with shower over, wash basin, WC. Heated towel rail and underfloor heating. Lovely view across the Harbour to Southwold. Set in mature secluded garden on two sides. Outside light at doorway. Garden furniture and barbeque. Track to side of property leads to parking space for one car. Children welcome. A travel cot and high chair are available. Please bring all other equipment. Parents should note steep cottage stairs with no stair gates. Weekly bookings are Friday to Friday, except during July and August, when bookings run from Saturday to Saturday. Short breaks available except during summer season. Please contact for details. Arrival after 4pm. Departure by 10am. Please note for short breaks of less than five nights, an additional charge of £100 will be payable. 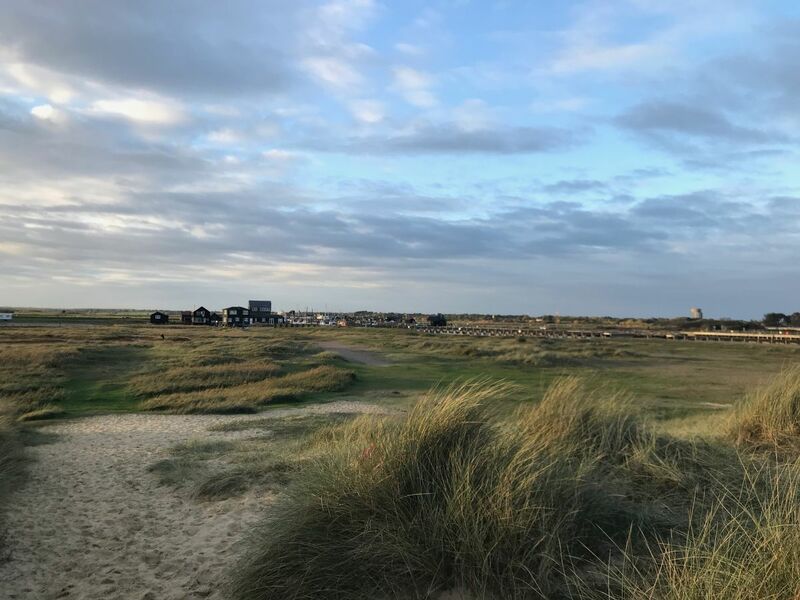 You can view a total of 11 images of Corner Cottage, Walberswick by tapping an above image and scrolling through the gallery.